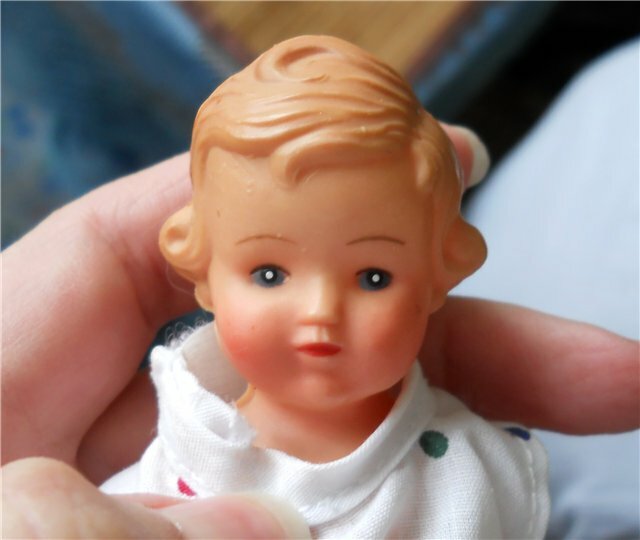 It’s time to part with one of my miniature dolls. I don’t like to say goodbye to them, and I do it very rarely. 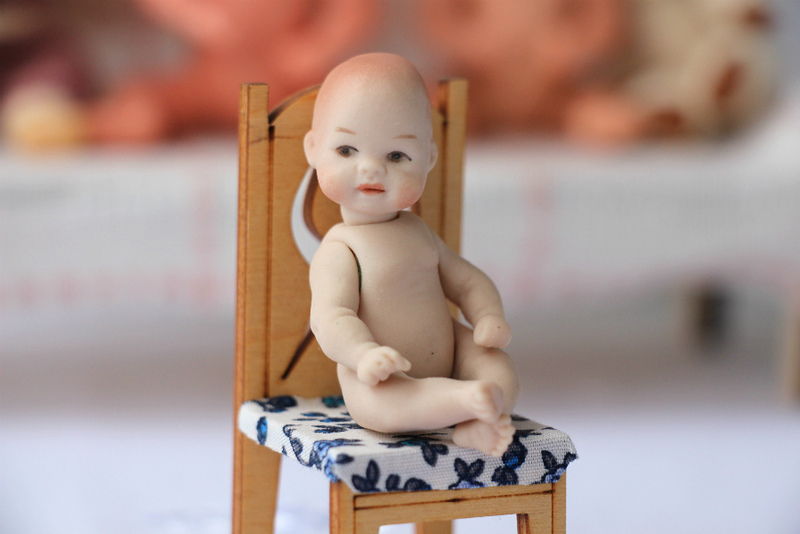 Sometimes I sell babies 5cm (2in) tall when I have a small number of them. For sale, I put the doll fully dressed, as they say, with a dowry. 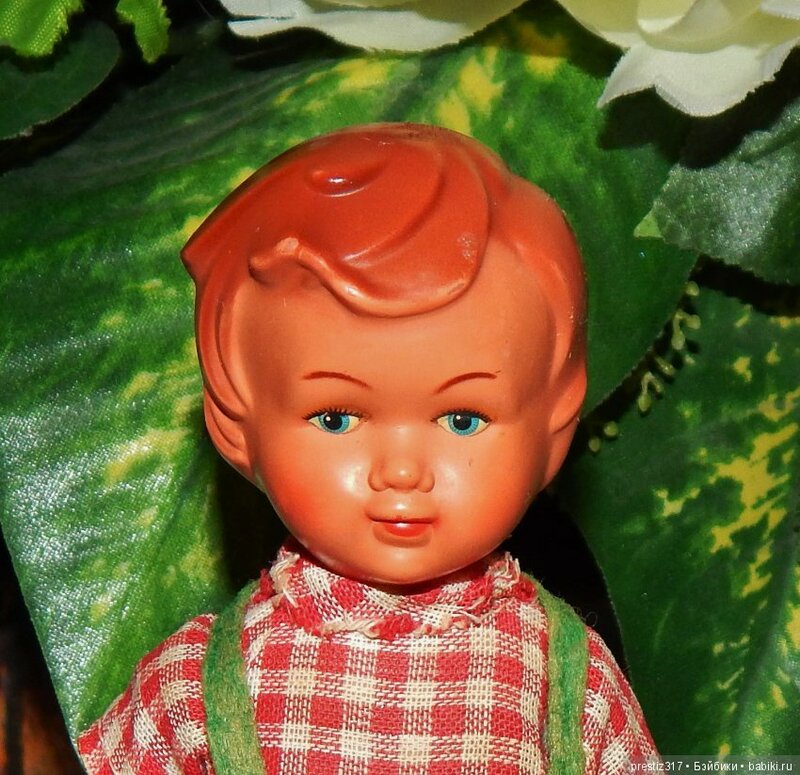 A few months ago I caught the eye of a whole family of vintage dolls from different authors. I’ve been following them for days and thinking about them. 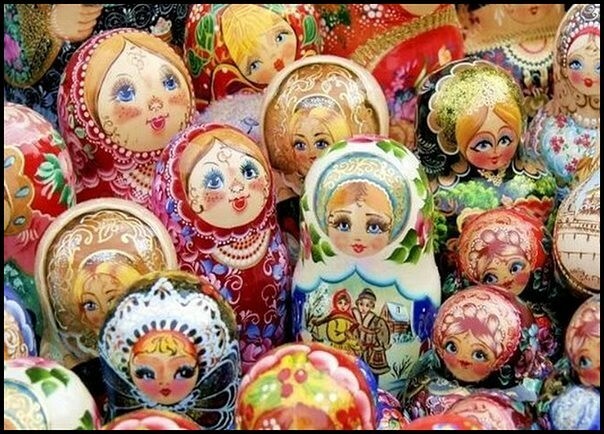 Almost all of them were made of plastic, such I especially love. And only two of them were made of clay. And that’s one of them I want to offer for sale. 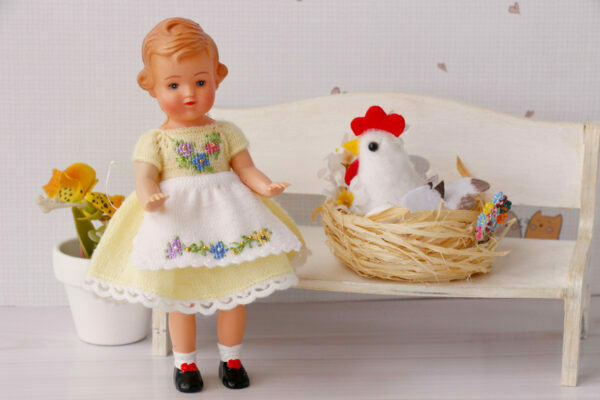 I know that many collectors love and collect precisely such vintage porcelain small dolls. 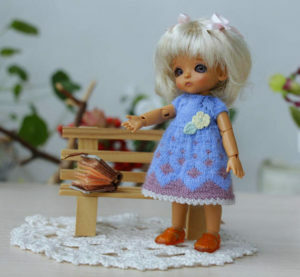 I don’t know the author of this doll, but think that this doll was made a long time ago. Dolls face is very sweet and gentle. Arms and legs are moving. 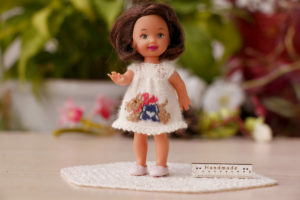 The doll is made very carefully and can decorate any doll collection. 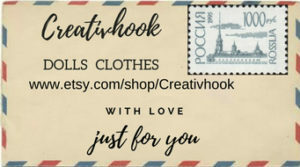 I made her a full set of clothes. White knitted dress with dark blue ornament. Pants and jacket with a hood are decorated with the same dark blue ornament. 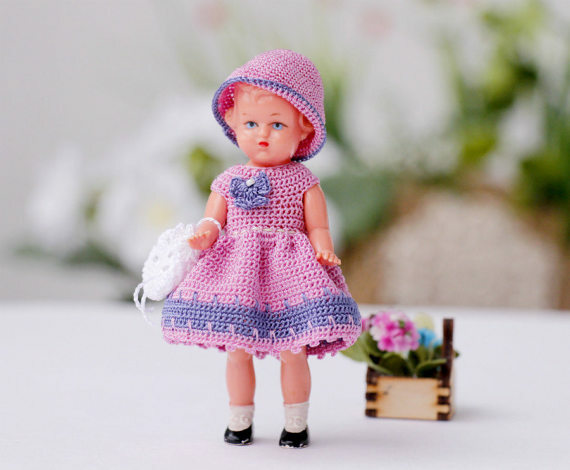 The white miniature knitted cap will fit for the dress and for the blue set. 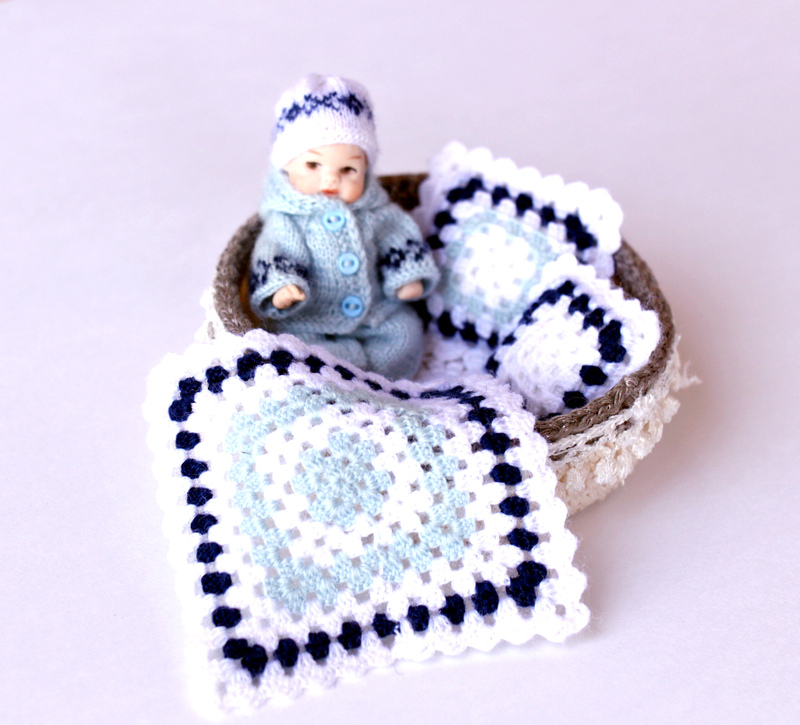 A full set of clothes and accessories for the crib is made in the same style and knitted with crochet and knitting needles of high-quality yarn. 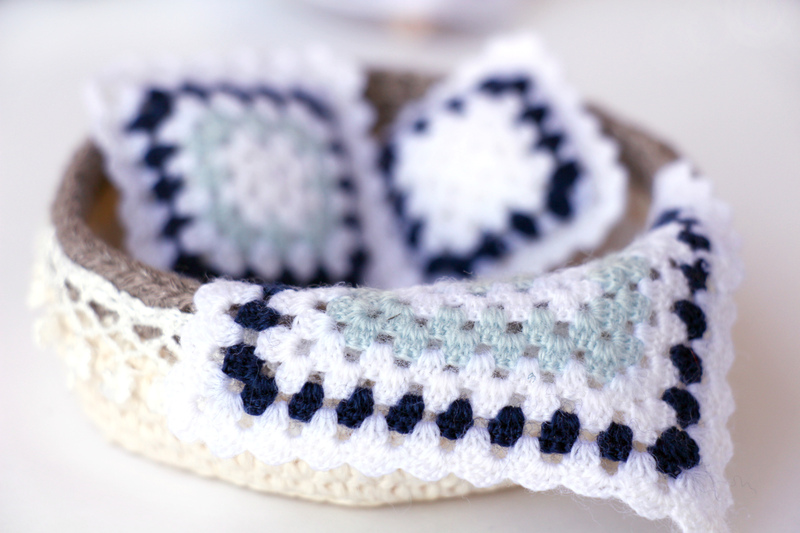 For the little doll, I made a small basket with a blanket and a pillow that can serve as a cradle. The cradle is decorated with lace. 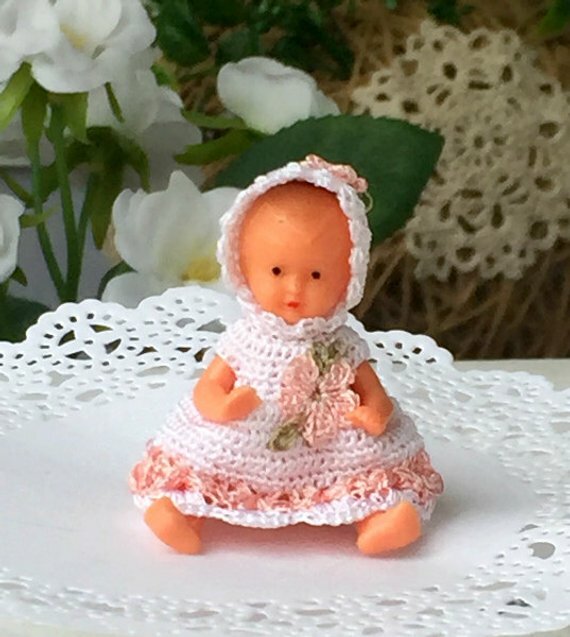 Miniature doll with this kit you can see in my store. I hope someone likes it. And the doll will go to his new home.